It Trump/GOP would fund NASA to get multiple private space stations going, then these nations would very likely jump for joy at putting ppl in space and training them. This would allow us to lower the costs of access for manned space. You know that Bigelow Aerospace is already prepared to do these things, as soon as Commercial Crew is up and running, right? Why should NASA be using American taxpayer money to subsidize these oil rich nations? They have enough money to buy their own space station from Bigelow Aerospace. It would be useful to BA & Axiom to attach habitats to ISS, and then have NASA vet them. That sounds fair. In exchange for usage data, NASA gets to test (and use) the modules. BEAM is little more than a closet but it did provide proof of concept and has been a good source of data on how well inflatables hold up in the real world. Ignoring of course Gensis I and Gensis II that have been in orbit for over a decade and are still holding pressure. Or are orbiting prototypes not real world? All the BEAM did was throw Bigelow Aerospace a bone so he wouldn’t complain as much about NASA. Yes, it would be useful. That’s why, unless Bridenstine kicks some additional deserving NASA arse, it won’t happen. Fortunately, Mr. B. seems to be in an arse-kicking mood lately and also seems fully on-board with the idea of NASA being a future customer for commercial LEO habs. That may prove unavoidable in the near-term. Sovereign nation hab clients will, naturally, tend to trust NASA more until they get some experience in space. After that, the reputations built by the hab builders will become steadily more important. You do know that UAE is an investor in Virgin Galactic? I do. Do you think that experience will incline the UAE to be (1) more or (2) less trusting of Western private space businesses? Well, they’ve stuck to it – because they’re stuck with it. They might even come out ahead in the long term, though I suspect the overall rate of return isn’t going to be very impressive. At least a dead loss looks less likely than it did a few years ago. I guess it proves that they hold air but it doesn’t prove much else. If Congress doesn’t want to put money into Bigelow I guess Bigelow will just have to close the business case for its product in the private sector. There would probably be more business in the gulf states for VG than in the U.S. anyway. With the money available to invest what they put into VG is probably not enough for them to worry about. ADIA has a portfolio valued at $828bn, with investments spanning over a dozen asset classes and sub-categories.According to the fund’s own data, its 20- and 30-year annualised rates of return in dollar terms were 6.1% and 6.9%, respectively, as of December 2016. One current area of interest for ADIA is India’s transport infrastructure, with the fund looking to buy a stake in Hyderabad International Airport and Cube Highways, the operator of road tolls in the country. Concerning European assets, it was reported in May 2017 that ADIA was actively looking for buyers for $1.7bn worth of Paris office buildings. 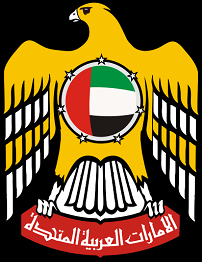 The UAE has a number of other important SWFs, with the Investment Corporation of Dubai, Mubadala Investment Company, Abu Dhabi Investment Council, Emirates Investment Authority, RAK Investment Authority and Sharjah Asset Management also involved in managing the sovereign wealth of the various emirates. More recently established funds, such as the Abu Dhabi Investment Council launched in 2007, have also been tasked with making investments that help support domestic economic growth and facilitate the development of local companies on the international stage. huh? I have not seen anything out of Bigelow recently (then again, not surprised). That seal of approval is not about NASA. That seal of approval is a seal to OTHER space agencies that these private companies are solid. beam really did not do much more than the 2 genesis did. At this point, I think that the external skin is more than proved. What is NOT proved is ECLSS, electronics, etc. Basically, they need to prove that it is a TRUE habitat. they would not. NASA would get several companies going with habitats who could then spin off into private space stations and then compete to have other nations and even ISS partners put ppl up there. The more that go, the cheaper the costs. That is not just for the space station, but more importantly, for the manned/cargo delivery systems. This will make going to the moon affordable. This is all about driving the costs down so that the economics of the system are possible. $20M to go up to the ISS/back within 1-3 weeks is way too expensive. Get that down to $5M / seat, and it is very doable. Nothing new, but they still seem to be planning to put a B330 up on an Atlas 5 in 2022. That’s at least possible, I suppose. The royal families in those places tend to be very large so the number of idle rich heirs with nothing much to do is certainly considerable. It certainly is interesting how much attention that region has suddenly decided to lavish on looking for good post-petroleum places to put their money – and preferably not in their own immediate vicinity. I think the rise of fracking in the U.S. has got a lot of people out that way whose previous major interests were in palace construction, collections of expensive automobiles and the purchasing of solid gold commodes thinking that, absent some prompt attention, the money might actually run out while they’re still alive to suffer the decline in lifestyle and bank balances that would entail. Hence the frenzied search for more suitable investment vehicles and fewer pimped-out motor vehicles. The emirates is also setting itself up as the place where rich people go to sin. It is becoming the new Monaco for new money. VG would be the kind of attraction that would fit right in with the new high tech and modern image that the leaders are trying to project. Also, if you were mega rich, would you rather go to Abu Dhabi or Truth or Consequences? Fair point. The Grimaldis have certainly done pretty well out of their little vest-pocket monarchy over the last century or so. No reason at least one of the Gulf royal families shouldn’t do likewise after all the oil is gone. At this time, it is NASA that is the space equivalence of UL listing. In the future, it will likely be FAA, but at this time, it is NASA. One thing I have to admire about the middle east as well as Norway is that they make sure to invest their natural resource money into other wise investments. In America, we just give ours to the rich and other nations. Read your after posting. Norway and the middle east ARE doing smart investments. Your reflexive leftism is making you talk silly again. I swear, whenever your “prog brain” kicks in, you lose about 60 IQ points. The U.S. has the best investment climate in the world and has had for a long time. The U.S. pretty much invented the notion of venture capital and has the best-developed VC infrastructure of any nation on Earth. Ordinary Americans, it is true, sometimes “give” – i.e., invest – money with people who are already rich – that’s where mutual funds come in. Another American invention. But the concept of venture capital is based on the rich “giving” – i.e., investing – their money into the ventures of people who are not rich but hope to become so. That’s pretty much the opposite of what you wrote. The sovereign wealth funds of currently oil-rich nations, like Norway and the various nations of the Middle East, are, in essence, state-funded crosses between mutual funds and venture capital funds. They invest almost exclusively outside their own borders because their own internal economies aren’t large enough – except for the oil parts – to supply enough suitable investment targets for the amount of money in hand. So they, perforce, invest elsewhere – most often in the U.S. as this country also has a generally permissive policy toward foreign investments. Thus, far from it being typical for Americans to “give” their money “to other nations,” many of those other nations are busily “giving” money by the dumpster-load to the U.S. – specifically, to myriad business enterprises based in the U.S.